In response to growing outcry from environmentalist groups and the increasing disparity of state legislative reaction to the problem of e-waste, the Electronic Industries Alliance (EIA) is releasing its own framework for federal legislation to establish a national program for recycling old TVs, computers and such. It is a front burner issue especially as states such as Minnesota and Oregon have recently passed laws that increasingly put the burden on manufacturers. EIA's approach calls for a separate approach for TVs and computers that reflect their divergent business models, markets and consumer base. TVs would be collected and recycled by an industry-sponsored third party paid for by a fee charged to consumers at the point of purchase. Producers of IT equipment would implement a system convenient to consumers and without any fees. They would further agree to the materials restrictions established by the European Union's Restriction on Hazardous Substances (RoHS) directive and a similar California statute. The unified approach seeks to alleviate the complexities for manufacturers selling products across many states and abroad. The question remains as to whether such an approach will give an unfair economic advantage to larger companies with more financial wherewithal to deal with a "producer pays" solution. The Electronic Industries Alliance (EIA) today released a consensus framework that paves the way for federal legislation establishing a national program for recycling household TVs and information technology (IT) products such as computers and computer monitors. The board of EIA's Environmental Issues Council, which includes companies such as HP, Lenovo, Panasonic and Sharp, approved the plan, and EIA officials have delivered copies to the Bush Administration, key lawmakers on Capitol Hill, state officials, industry stakeholders and environmental advocacy organizations. "This framework represents the first consensus agreement among IT and TV manufacturers on meeting the nation's electronics recycling challenge," said Matt Flanigan, EIA's interim president and CEO. "We're offering these ideas to advance the work of Senator Ron Wyden, Representatives Mike Thompson, Mary Bono, Louise Slaughter, Zach Wamp, Albert Wynn and so many others seeking a national solution. The electronics industry has long been a leading environmental steward, so it's fitting that these companies are once again at the forefront of addressing this environmental priority." "This agreement among consumer electronics and information technology manufacturers marks a watershed event for proactively addressing the electronics waste management issue," said David A. Thompson, director of Panasonic Corp. of North America's Corporate Environmental Department. 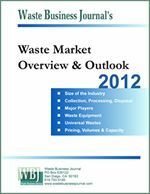 "By recognizing the unique product distribution channels and customer usage patterns, EIA's agreement will facilitate greater electronic product recycling in an environmentally prudent and cost effective manner." "This proposal is an important step forward in achieving industry consensus," said Matt Krupnick, Public Policy Counsel for Dell. "We will continue to work with policymakers to promote innovation, drive efficiency and create effective IT collection methods." "The electronics industry is going green across the entire product lifecycle, from design, to use, to end-of-life," said Rick Goss, EIA's vice president of environmental affairs. "Every year electronic products are more energy efficient, more sustainable, and easier to upgrade, disassemble and recycle. Consumers should look to reuse, resell or donate working items whenever possible. When that's not an option, recycling is the only environmentally-responsible choice." The framework calls for a bifurcated financing approach, separating TVs from desktop computers, laptops and computer monitors to reflect their divergent business models, market composition and consumer base. TVs have an expected lifecycle of 15-17 years and are purchased by individual consumers from retailers. New entrants can rapidly gain a significant share of the market only to disappear a few years later. Under the EIA proposal, TV collection and recycling would be primarily conducted by an industry-sponsored third party organization and initially supported by a nominal fee paid by consumers at the point of purchase. The fee would eventually expire, once a significant number of so-called "legacy" sets are recovered. IT equipment has an expected lifecycle of 6-8 years and is more often sold directly to the consumer. The EIA proposal calls for each producer of IT equipment to implement a program to collect and recycle its products in a manner that is convenient for household consumers and at no cost to them. IT manufacturers would have to offer such a program as a condition of conducting business. All programs, whether for televisions or IT equipment, will have to ensure that they rely solely on service providers that satisfy established environmentally sound management standards and related business practices. 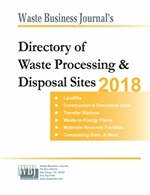 EIA is one of numerous stakeholders actively participating in an effort being facilitated by the U.S. Environmental Protection Agency to develop best management practices for electronics recyclers. "This policy framework is the culmination of extensive industry dialogue and negotiation," Goss added. "Across the board, manufacturers made concessions to produce this consensus agreement. We sincerely hope that other stakeholders will be motivated by the same spirit of compromise as we seek a uniform recycling program that our country wants and needs." Another provision calls for meeting the materials restrictions established by the European Union's Restriction on Hazardous Substances (RoHS) Directive and a similar California statute. "The RoHS Directive has become the de facto worldwide standard and electronics companies are providing RoHS-compliant TVs and IT products from coast to coast here in the United States," Goss said. "Our companies design, manufacture and sell these products in the global marketplace and strongly support one consistent set of requirements." In addition, the proposal says Congress should codify a requirement that the federal government purchase environmentally preferable IT equipment, such as those products meeting the Standard for Environmental Assessment of Personal Computer Products (the EPEAT standard), which was the subject of an executive order President Bush signed in January. State governments and other public institutions such as hospitals and universities should adopt similar policies. Goss added that any federal electronics recycling legislation should establish a uniform, national set of requirements for industry and avoid a system in which every state has its own plan. "Consumers in Texas deserve the same recycling options as those in New York," he said. "Those state laws already enacted should be allowed to stand. But a patchwork of 50 state laws would impose significant compliance costs on manufacturers and ultimately force some consumers to pay more for these products without any commensurate environmental benefit." To view EIA's Electronics Recycling Framework, click here.